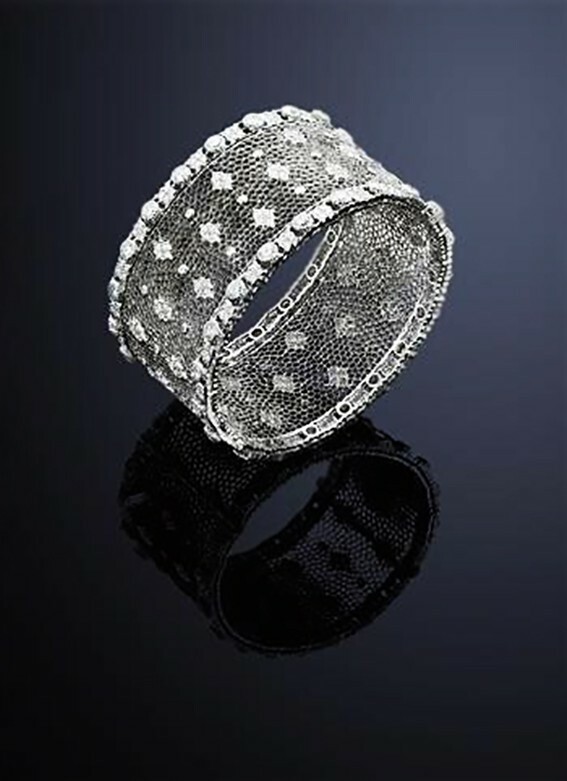 A Diamond Bangle by Gianmaria Buccellati. 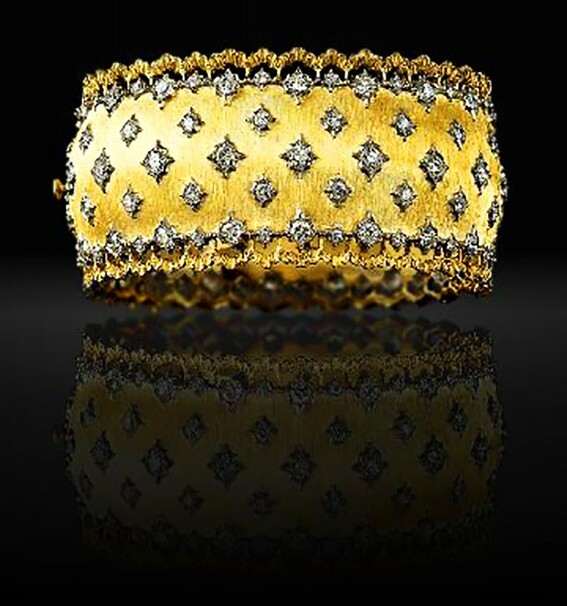 Diamond and Gold Cuff by Buccellati. 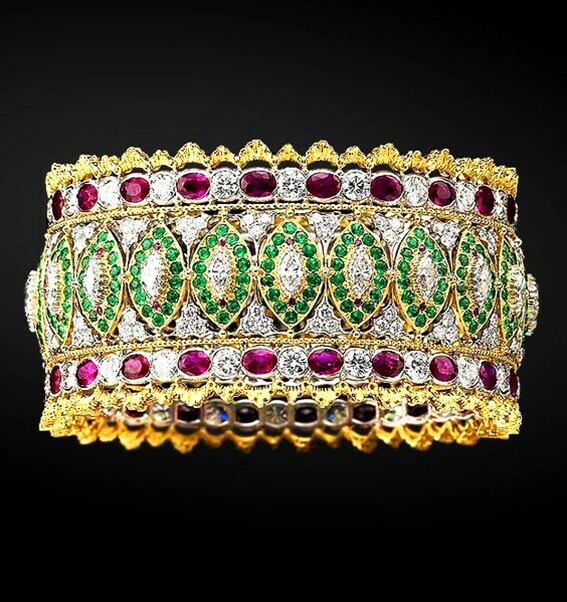 Diamond, Emerald, Roby and Gold Bangle by Buccellati.